Achieving a tightened and refined neckline may not require a facelift, especially in younger individuals. In many cases, a platysmaplasty or “sling” procedure, which is a tightening of the muscle bands running vertically down the neck, may be performed to delay or eliminate the need for a facelift. This procedure can be performed alone, or with a combination of other procedures, such as chin augmentation, depending upon the results desired. For results that look natural and aesthetically appealing, Dr. Matas creates a highly customized necklift plan that considers each patient’s unique needs and goals. In some cases he may decide to incorporate liposuction techniques to reduce areas of excess fat beneath the chin or along the neck for leaner, smoother contours. If you are interested in finding out how a necklift can benefit your appearance, schedule a complimentary consultation with Dr. Matas. During your appointment he will discuss your concerns and explain whether a necklift can meet your needs. Individuals already undergoing a facelift procedure may need additional tightening of the platysmal bands. Dr. Matas also offers non-surgical options that can be used to improve the appearance of the neck region. These treatments, which include KYBELLA®, BOTOX® Cosmetic, and microneedling, are typically well-suited for patients who require only mild cosmetic corrections below the chin and jawline. Board-certified plastic surgeon James Matas, MD has extensive experience performing facial plastic surgery. 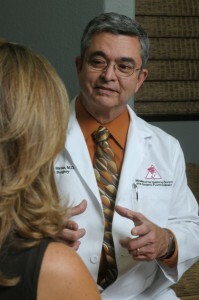 At your initial consultation, he will discuss your goals and motivations for surgery, along with assessing your physical and emotional health and reviewing information you provide about previous surgeries, past and current medical conditions, as well as nutritional supplements, herbal remedies and pharmaceutical medications you take. He will examine the structures of your face and neck, assessing the quality of your skin tone and bone structure. He may also review photographs of you at an earlier age to determine how the aging process has affected you. He will recommend the exact procedure, or procedures, needed to bring about the desired result, outlining the techniques and incisions needed, the type of anesthesia, where the surgery will be performed and the risks and possibility of complications. He may also recommend non-surgical treatments to enhance the surgical outcome. He will advise you to avoid taking aspirin, ibuprofen products, Vitamin E and certain herbal medications before surgery, as these can cause increased bleeding or have undesirable effects with anesthesia. He will also advise you to quit smoking before your procedure. Once a surgical plan has been established, you will also be provided with the financial details, along with a suggested plan of action should you decide to take the next step toward having a necklift. 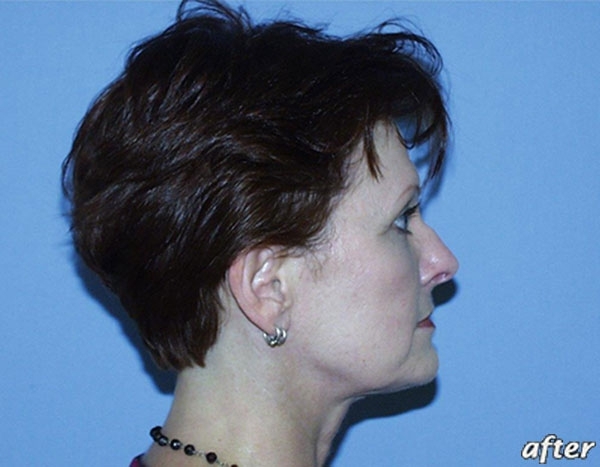 The necklift involves making a small incision under the chin and behind each ear. The prominent muscle bands that have loosened and dropped are tightened with permanent nylon suture. The suture is first attached to the muscle, then tunneled under the chin to the opposite side of the face and attached in a crease behind the ear. The newly suspended muscle acts as a “sling” to tighten the skin and create a more defined neckline. Surgery is performed outpatient under general anesthesia and takes about 2 hours, or longer if additional procedures are performed at the same time. You will be discharged wearing a supportive garment over your head and neck. There is very little pain associated with the necklift, but any discomfort can be lessened with prescribed medication. You may feel tightness to your neck, or difficulty turning your head, and this will be normal for the first week or two. You will be given guidelines to avoid strenuous activity, turning your head quickly, alcohol, steam baths, saunas and sun exposure. After a few days, your neck garment will be removed, and you may have mild bruising and swelling. Your tightened contour will be noticeable to you at this time. Treatment with our massage therapist will begin in about 5 days, and this will reduce any minor swelling and inflammation and help you turn your head more comfortably. You’ll be back to work within about 5 days, and back to more physical activities within 2 weeks. Your scars will be very small and inconspicuous and, with time, should fade and be scarcely visible. Am I too old for a necklift? As long as you are in good health and meet the requirements for being a necklift candidate, your age does not make a difference. Patients could be from 30 years-old to 70 years-old! Everyone ages differently and may feel the need for cosmetic enhancement at whichever age they choose. You can trust that Dr. Matas will give you an honest appraisal of your aesthetic concerns and whether or not he is able to achieve your goals. When will I see the full results of my necklift? It may take a few weeks before your post-operative swelling completely disappears; however, you should begin to see the first stages of improvement after a week. The exact amount of time you may wait depends on a number of factors, including the specific details of your procedure and your unique rate of healing. Dr. Matas can give you a close approximation of what to expect before, during, and after your surgery prior to your procedure. Will I need to have skin and muscle tissue tightened during my necklift? The techniques used during your procedure will depend upon the way the aging process has affected your skin and muscle tissue. For those with only excess skin/skin laxity, Dr. Matas can use a skin-only necklift approach which smooths, lifts, tightens, and removes redundant skin. He may also employ liposuction techniques to remove any apparent fat deposits for a leaner, smoother look. When the superficial musculature of the neck, called the platysma, is also drooping and/or folding, Dr. Matas can incorporate a platysmaplasty into his surgical plan along with skin tightening. 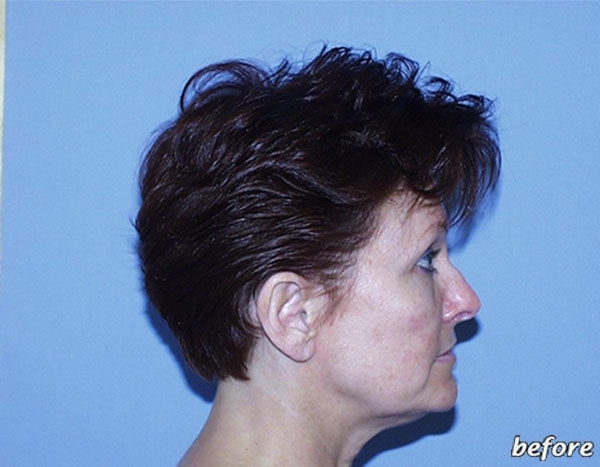 The platysmaplasty tightens and resuspends this muscular layer for optimal results. Dr. Matas can explain which customized necklift plan is right for you during a one-on-one consultation. At the Advanced Centre for Plastic Surgery, Dr. Matas provides every patient with a comprehensive cost quote for their necklift and any other procedure they have decided on during their consultation. Pricing is both accurate and easy to understand. We even offer a free online cost analysis option for those who are not yet ready for a consultation or do not live nearby. Just fill out the Free Cost Analysis forms and a knowledgeable member of our team will respond with the pricing estimate you are inquiring about. If the full cost of the procedure seems out of your price range, we offer plastic surgery financing through a third-party company called CareCredit®. For approved applicants, CareCredit® provides low monthly payment plans that can make the procedure you want more budget-friendly. To schedule your complimentary consultation with our experienced, board-certified plastic surgeon, please contact the Advanced Centre for Plastic Surgery today.